So now what? After weeks of crossing off your checklist, it seems odd not doing anything. That's because your post-wedding checklist does take a back seat for a short time. Why? You need to enjoy married life! In addition to that, you do need to wait for your marriage license, and photos from your photographer, etc. What's next? Here are some steps you can choose to do after getting married. 1. Saving your wedding bouquet and other flowers. If you decide to do this before the reception, make sure to ask your wedding planner or the venue coordinator to keep your bouquet in a water vase on your table so it stays fresh. Some companies will help preserve your wedding bouquet. Some boutique companies also frame your bouquet along with your invitations in a vacuum sealed shadowbox. It's a great way to keep your wedding details. 2. Clean and preserve/store your wedding dress. You spent a lot on your wedding dress, so making sure it stays beautiful for years to come is an option, or you can sell it. Many online platforms focus on the resale of used dresses. Regardless, you need to get it cleaned. Ask your seamstress or the bridal salon you purchased your dress for recommendations to clean your dress. They may also be able to recommend someone who can help preserve your dress. Until you get your dress cleaned after your wedding keeps your dress wrapped in a white sheet or tissue paper if possible. You can keep it in the garment bag it came in. Keep it away from the sun, and put in a place that's cool and dry. If you do decide to preserve your dress, it will be stored in a sealed box for you. Keep in mind that the price of cleaning and preserving your dress depends on the intricacies of the lace, size, beading, train, etc. Once you receive your box, store it in a location protected from changing temperature, moisture, and sunlight. 3. Go through your wedding detail leftovers and return them or sell them. Extra candles? Extra table runners? Do you have a lot of favors left or mason jars? Sell them online, or give them away so another bride can enjoy them. Clearing your home from clutter does feel wonderful. You can make room for more things to come! Change your social security card by visiting the Social Security Administration's website to fill out a form to process the change, or go to the physical office with the filled out form. Don't forget your original marriage license and other items they require to confirm your identity. Change your driver's license. Once you have your social security card, bring that along with your original marriage license, and all forms of identification to the DMV. They will have a list of what you need to bring so review your local state DMV website. Change your Passport. It's now easier to change your passport with your new driver's license and social security card. Again, make sure you're providing all other identification and materials listed on the U.S. Department of State including the change of name form, your recent passport, passport photo, and appropriate fees. Change your bank accounts by going to each branch with your new passport, your original marriage license, your new driver's license, and your old identification to confirm you're the original bank holder. While you're there, order new checks, so it has your new name. Decide with your new spouse if you're going to create a joint checking account for utilities, mortgage, rent, groceries, cable, phone, etc. There's no reason why you can't have separate checking accounts. This is an option that many couples decide to do, but couples also keep their checking accounts separate and divide who pays what bills. Change your information with the human resource department at your job, and change your payroll information, pension, 401K, your work email, etc. You can also think about changing your beneficiaries. Sorry niece and nephew, you're cute, but the spouse is now next in line. Change your credit cards. Some companies request a copy of the marriage certificate or new identification. You can create a new personal email address containing your new name. Make sure to contact all your family and friends that you have a new email address. You can also forward emails to your old email address to your new email automatically. Pretty much all email platforms can do this. Change everything that you can think of including associations, gym membership, voter registration, post office, utility bills (phone, cable, electricity), title to your car, insurances, etc. 5. Create your wedding album and prints to hang. Once you receive your photos, work with your photographer to design a wedding album and wall art to hang on your walls. You just invested time, money, and emotions on your wedding, so make sure you showcase memories on your walls and with a physical album. Too many couples fail to back up their digital photos from their photographer or pay a small investment for the images to be placed in a USB gift box. I've had a few couples in the 8-years I've been in business come running to get copies of their photos because their computer failed. All their photos were lost and they never created an album. Fortunately, I had their pictures, but they were lucky! 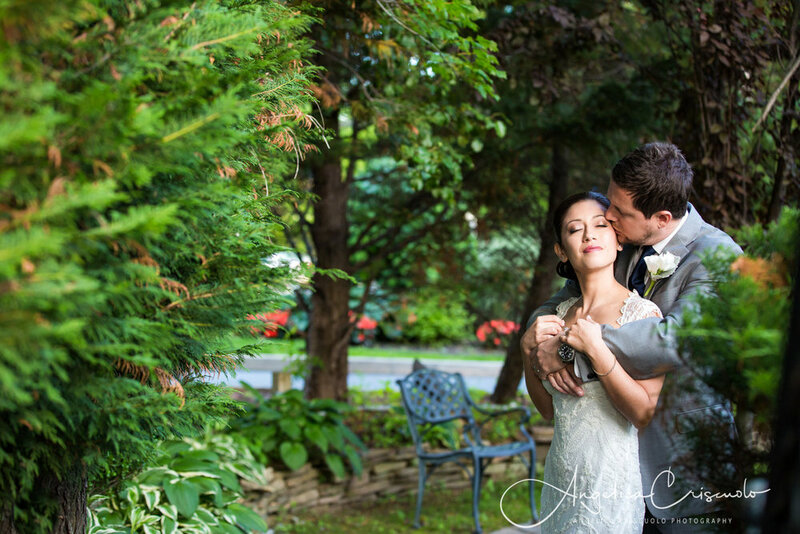 To be clear, a photographer mostly guarantees pictures within a year of the wedding. After that, they may archive it, so you need to pay a fee, or they only save the best marketable photos from the wedding and not keep the rest of the images. Bottom line, BACKUP YOUR PHOTOS and CREATE A PHOTO ALBUM! 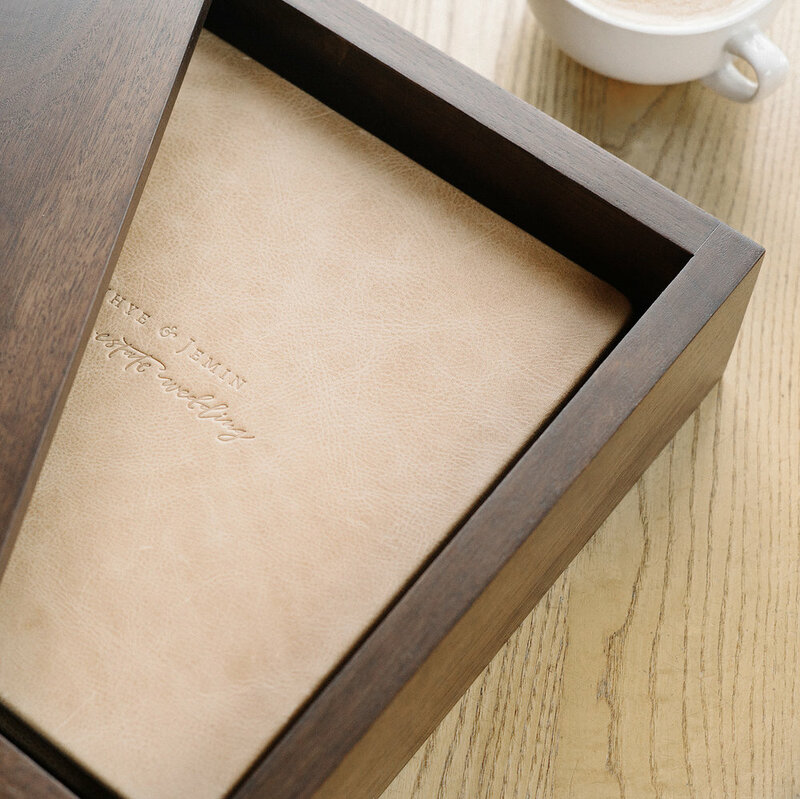 A beautiful leather bound album is always viewed by guests in your home when they see it on your living room table. Unless you are a professional, have your photographer design the album for you. It's worth the investment. You can also have them create your Thank You cards that consist of a photo, or photos, from your wedding. Here's an example of a USB to backup your beautiful wedding photos. These are from USB Memory Direct that can be ordered through our studio when you order your albums. I love these USBs. They're made of wood, the cap is magnet so it's easy to take on and off, and slim that you can carry it anywhere. My studio does offer a gift box to store the USB. The USB complements my couple's photo album display case. So if you're not sure about a USB or an album, let's discuss your questions. 6. Write your Thank You Cards. Some people opt not to use their wedding photos on their thank you cards, so technically this could be done sooner. You, your maid of honor, or someone you have designated, would have made a list of the gifts received at your wedding. Take your excel spreadsheet, or list, of everyone that gave you a gift at your wedding, and write your Thank You cards. 7. Review your vendors. 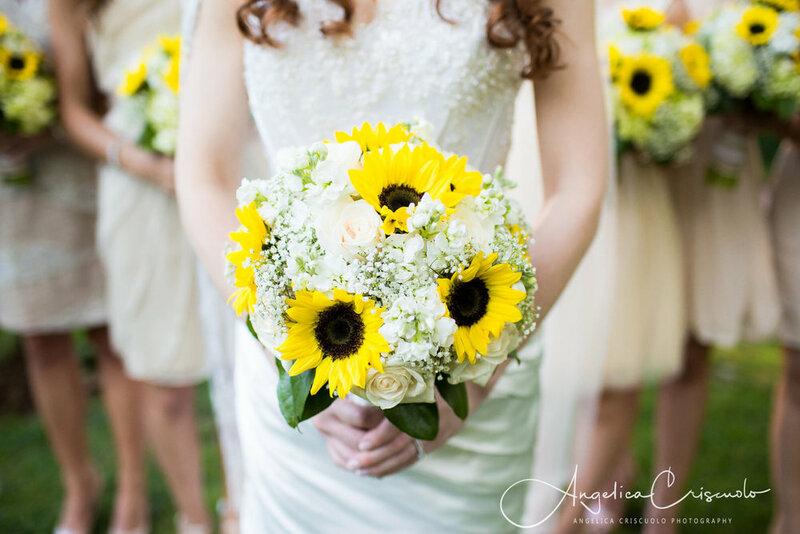 Leave a review of your wedding photographer, videographer, wedding planner, cake artist, officiant, venue, makeup and hair artist, and whomever else you hired to make your day memorable. It can be on Yelp, Google, The Knot, Wedding Wire, or on their Facebook page. If you love them, then copy and paste your review to multiple places to show your appreciation for the hard work they did. Reviewing vendors not only helps provide feedback for their services, but you're also giving future brides and grooms input on how fabulous they are! It is time-consuming to find the right wedding photographer, photo booth, makeup and hair artist, etc. 8. Return or exchange any gift you may have received. If you procrastinate, the store may not offer the same item, or what you wanted may be sold out. 9. Purchase items left on your wedding registry. You might get additional savings for purchasing what's left on your registry, but don't procrastinate for too long because the savings may only apply 30-60 days after the wedding, or the items may end up being out of stock. 10. Enjoy your marriage! Plan new adventures as a married couple. It's always fun to travel with your best friend. Older PostWhat To Wear For Your Engagement Photos - How to Prepare!